Welcome! 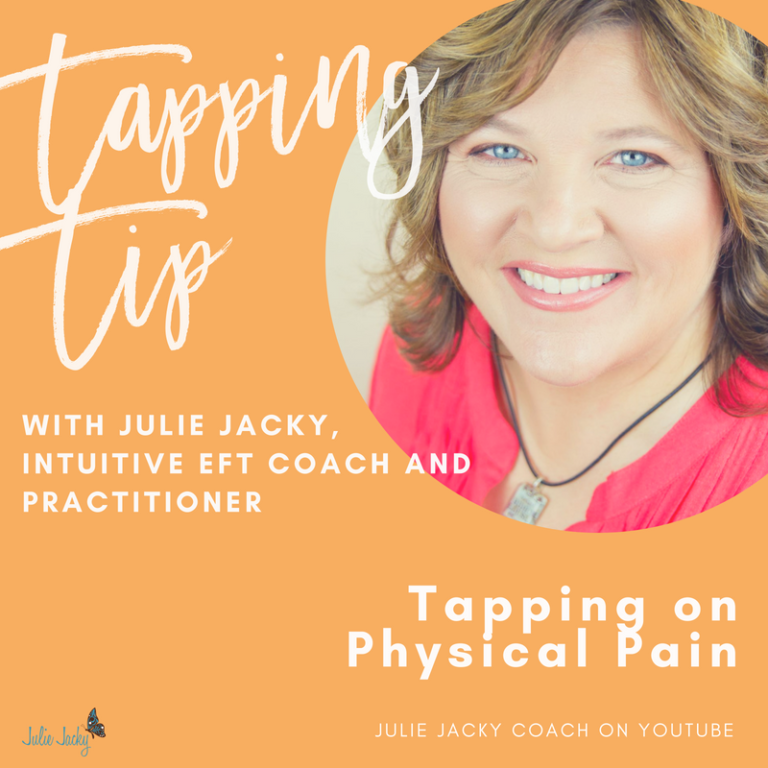 My name is Julie Jacky I’m a Certified EFT Practitioner & Coach and I’m here with the tapping tip. Have more questions? Check out the list of Frequently Asked Questions below. What else I can use EFT for? Does it matter which hand I tap with? Can I mess it up? Or do it wrong? Is tapping over the phone as effective as it is in person? Why do you focus on the negative? No, it doesn’t matter which hand you tap with – use the one that you are most comfortable using. This is a great question – one that I get asked a lot. You say whatever is going on in your head – the things that you say to yourself (but don’t necessarily say out loud or share with others). That’s the trick. Say out loud what you are saying in your head. Tapping is incredibly forgiving. You can miss a point or two and it will still work. You can tap in the “wrong” order and it will work. You might not know exactly what to say and it will work. The main thing is – keep tapping. The act of tapping – works. Keep doing it. Yes, tapping over the phone is as effective as it is in person. When I tap with my clients over the phone my hearing and special senses kick in. I listen for your yawns and sighs. I listen for the way you say words, what you are saying and how you are saying it. My intuition also guides me to help you. Some clients feel freer to share thoughts in their heads over the phone – which also can make the tapping session more effective. Yes, it is true. When you work with me, I teach you to “Tap on the Crap™”. Why the heck would I want to tap on the crap, Julie? I don’t want to focus on the negative. I want to focus on the positive! Of course you want to focus on the positive! We all do! And working with me will ultimately be a positive experience, I promise. However, the negative stuff is already inside of you and needs to be let go. In order to truly experience happiness you must first acknowledge and release the anger. That’s what I teach you to do. It’s kind of like cleaning. If you just sweep the dirt under the rug, things look clean but they’re not. Tapping on the crap helps you get rid of the hidden “dirt” – the emotional barrier hidden somewhere in your body. Once you Tap on the Crap TM and release the negative emotion, true happiness will follow. Need more convincing? Check out these testimonials. They’re people just like you who I’ve helped. Disclaimer: While EFT has been successfully used by thousands of people with no bothersome side effects, there is no guarantee that your results will be the same. You must always take full responsibility for using EFT on yourself or others. EFT is not a substitute for medical or mental health treatment and is best used in conjunction with your physician’s advice. 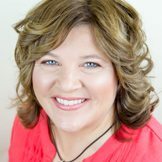 *Note: As a Certified EFT Practitioner, I am not licensed to treat, diagnose, heal or cure or any physical or psychological illness.